If you feel like you're spending more but getting less from your weekly shop, you're not wrong. Over the past 10 years, food prices in the UK have doubled, with prices rising so fast that wages can no longer keep up with them. 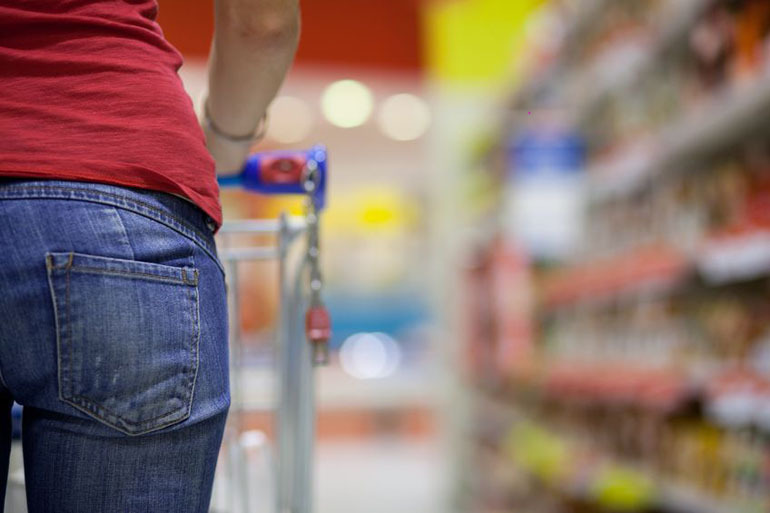 There are a few ways to save money on your weekly shop. You can clip coupons, join a loyalty scheme, and use our free money management software to keep track of where your cash is going. You can also arm yourself with some great recipes for cheap eats. You don't have to invest in cookery courses, either. These three fantastic foodie bloggers will show you how to save money on food without sacrificing flavour. Penny's blog is dedicated to helping people get away from ready meals and start cooking tasty food from scratch. Penny's recipes are not only low-cost, they're also simple: and many are vegetarian. There's a good selection of crowd pleasers, such as Goats Cheese Pizza and Toad in the Hole, as well as a few slightly more adventurous dishes like Onion and Lentil Wellington. Featuring how-to guides and hearty recipes, the blog also includes meal plans, money saving tips, and a special section dedicated to her very cheapest recipes. You can keep up to date with all her latest creations on Twitter by following @PennysRecipes. Nick's blog isn't just about saving money; it's also about eating well. His recipes use fresh, seasonal ingredients to create cheap and tasty spins on British classics. He's also put together a great range of world dishes, so put down that takeaway menu and try out his Beef Kofta Curry, Chinese Crispy Beef, or Thai Red Fish Curry instead. The recipe index is particularly useful, allowing you to browse recipes based on your diet (gluten free, vegetarian, healthy, vegan, etc) and the season, as well as what type of dish you're looking for (dips, soups, salads, etc). His website even includes a ‘Frugal Tips' section, offering sage advice for burgeoning budget foodies. You can get even more tips by following @FrugalFeeding on Twitter. It would be impossible to write about budget food bloggers without mentioning Jack Monroe. The Queen of Frugal Foodies, Jack learned about budgeting the hard way when she found herself unemployed and nearly penniless. Although her fortunes have taken a turn for the better (she has an advertising deal with Sainsbury's and has published a cookbook), Jack remains dedicated to the cause of low-budget cookery. She's made a name for herself as a force to be reckoned with in British politics too, campaigning against food poverty. Not only are Jack's recipes cheap, they're also delicious. There are lots of great recipes to try on her website: from the famous 9p carrot, cumin and kidney bean burger, to the rather adventurous sounding 25p Mexican chocolate, chilli and black bean soup. Of course, you can stay up to date by following Jack on Twitter at @MsJackMonroe. With budget cooking becoming more popular, we're looking forward to seeing more frugal foodies following in the footsteps of Penny, Nick and Jack. Jamie Oliver, eat your heart out!